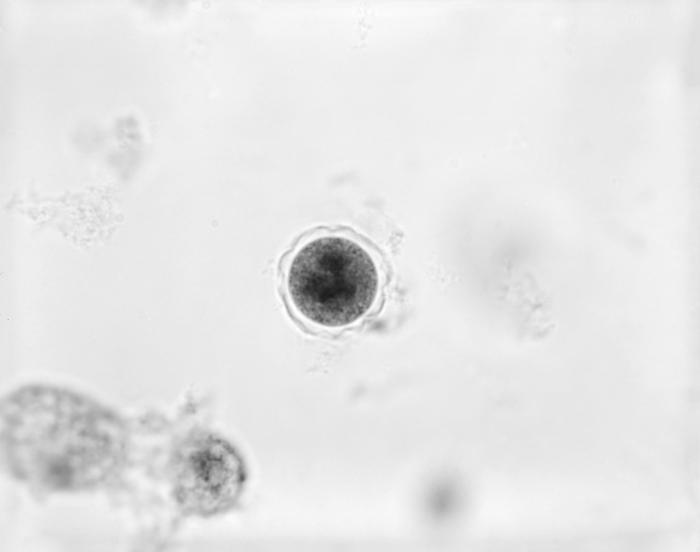 Magnified 1200X, and using a trichrome stain, this 1973 photomicrograph depicted a Hartmannella veriformis protozoan cyst. Note that this cyst is encased in a double-walled membrane, which consists of an inner, 'endocyst', and an outer-walled 'ectocyst'. The endocyst is intimately associated with the plasma membrane, while there is a distinct space between the endo- and outer, ectocyst membrances.